As soon as I read the paragraph, I snapped a picture and texted it to a friend. It’s where we let people in – to our sometimes messy houses and lives. It’s where we walk into other people’s stuff – which isn’t put away in a tidy closet. It’s when we make time for each other and choose to do life together. And, along the way, sometimes friendships hit bumps we don’t expect. That paragraph reminded me a friend I met when Cate was 4 months old, just as I was becoming a stay-at-home mom. We quickly clicked and started hanging out even when our moms group wasn’t meeting. We lunched together, spent hours preparing meals for our freezers, went to the pool and one another’s houses, and celebrated birthdays and holidays. And then our kids went to school and getting together became harder logistically. Our schedules were very different. I had one in school and one in preschool who was with me the majority of the time. She was homeschooling two. We still touched base in texts and visits, but those became fewer as we settled into this new season that revolved around the school calendar. More than once, I cried about missing her, even though she only lived a few miles away. Sure, we said we missed each other, but we didn’t let our actions reflect those words. We decided it’s worth saying: You matter. Even if getting together requires thinking outside the box. Even when seasons change and calendars are crowded. Earlier this year, she reached out in an email. She told me about where her heart was. At the same time, Facebook was showing me near-daily memories of when we used to spend multiple times a week together with our babies who turned into toddlers who turned into these big kids. We talked about what had changed and discussed ways to reclaim some of what was lost. Her birthday was soon after this conversation, so I reached out. “What day could I bring you lunch from your choice of a restaurant?” I asked in a text. We settled on a date, and then I took her lunch, my lunch, and my baby to her house. We sat in the living room sharing a meal and once again sharing our lives while her kids worked independently on school. Turns out, our daughters are actually using the same math book. What do multiplication, measurement, and division have to do with friendship? Well, as her daughter worked on that day’s lesson, I realized mine would be doing it soon. In other words: For as much as things changed, there’s still plenty of shared ground on which to keeping building our friendship. 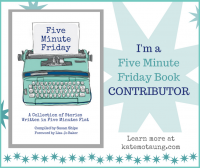 “The Gift of Friendship: Stories That Celebrate the Beauty of Shared Moments” is of full stories by different writers that prompted me to reminisce on moments I’ve shared with my own friends. Community is worth celebrating and that’s what this book does beautifully. There are stories of heartache redeemed, surprise friendships, and everyday community that reinforced my belief we really are better together. 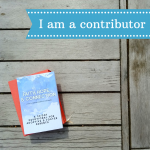 In addition to Anna Rendell’s timely essay, editor Dawn Camp has compiled stories from Holley Gerth, Jennifer Dukes Lee, Jennifer Turner, Mary Carver, Lisa-Jo Baker, Liz Curtis Higgins, Crystal Paine, and many others. This beautiful 224-page hardback book officially releases today and is available on Amazon and most anywhere else you like to buy books. 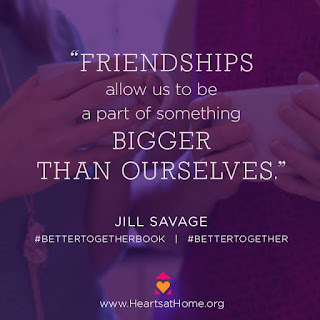 I’ve also recently read “Better Together: Because You Aren’t Meant to Mom Alone” by Jill Savage with her daughter Anne McClane. 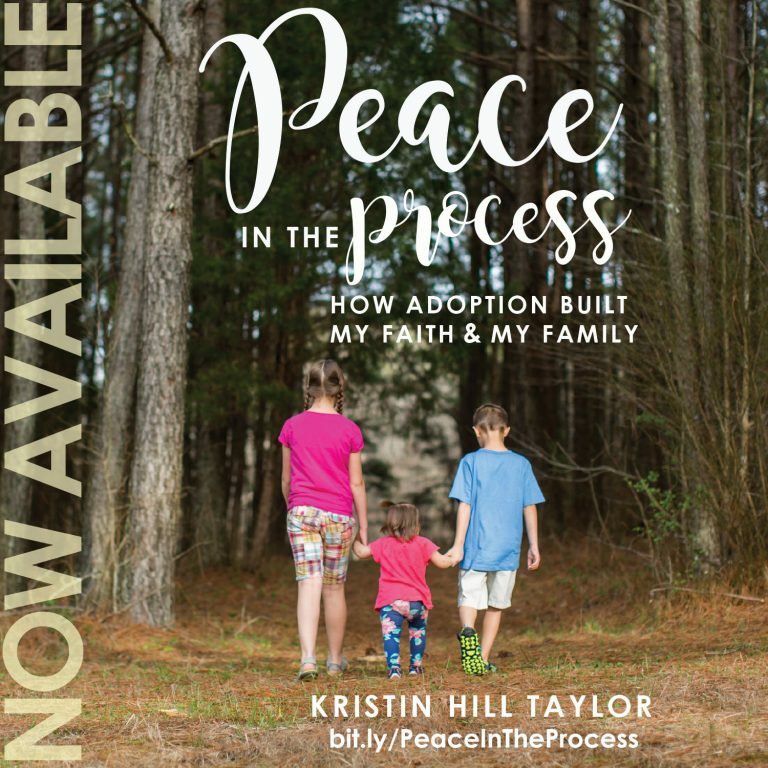 This book offers practical, encouraging insights to why having a tribe of moms to share life with is healthy and helpful. “Better Together” doesn’t officially release until March 1, but it’s the kind of book every new mom should have and one that helps those of us who have been here awhile too. There are ideas for co-ops, encouragement if you’re facing hard times in friendship, an informative Mothering Personality Inventory that may explain some of why you mother the way you do, and Biblical truths of what friendship matters in our everyday life and our faith journeys. One of you will win a hardback copy of “The Gift of Friendship: Stories That Celebrate the Beauty of Shared Moments,” thanks to publisher Revell Books. This giveaway is open to U.S. residents through Monday, March 28 and a winner will be randomly selected on March 29. Use the Rafflecopter below for various ways to enter. I received free copy of “Gift of Friendship” and an advanced PDF version of “Better Together” to review in exchange for helping promote them. These opinions are my own and I’m thinking it’s likely I’ll mention both books around here again. 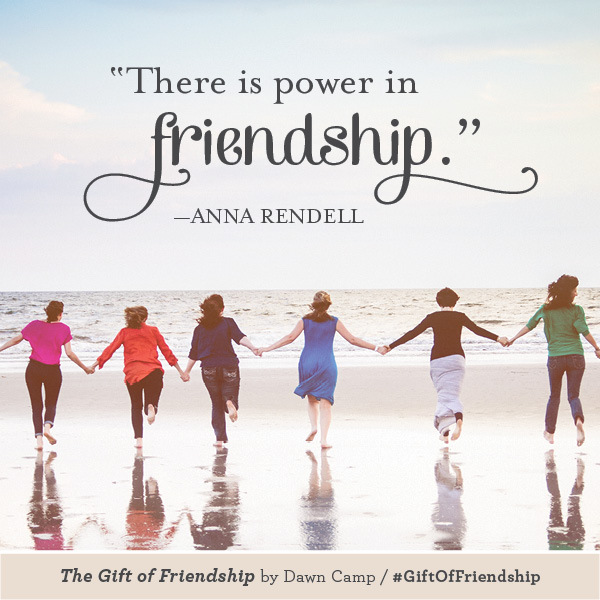 Revell Books also gave me a free copy of “Gift of Friendship” to share with one of you.